I realise that not every one of these keys is going to be applicable to every book. For example, you may want a text‐only cover in which case you don’t need to worry about getting your image spot on. Or you may want the image to be of you, which means you don’t have to worry so much about relevance aside from the fact that it’s your picture on the cover because you wrote it! Obviously the more key ingredients you nail in your book cover, the more impact it is going to have. I think the table analogy is a great demonstrator of this concept… Imagine your book is sat on a table in a bookstore, and the key ingredients are the legs of that table. If you only have one or two legs on your table, it’s not even going to stand let alone stand up to the other books in the store. If you have three strong legs, your standing, but not very stably. The slightest knock is going to tip you over. Four legs and you have a good strong table; but make a table with five strong legs and nothing is knocking it over short of someone picking it up and launching it across the room! Before we get into what the 5 keys are all about, lets look at what the job of your book cover actually is. Centuries ago when mass‐produced books where first being made, a book covers’ job was simply to hold the book together and to provide a surface to stamp the title. But in today’s day and age of advanced printing techniques, ereaders, and books being used as a viable business tool for millions of “authopreneurs”, the job of the humble book cover has radically changed. A covers’ purpose is still very simple, but also vastly more important now the ever before. 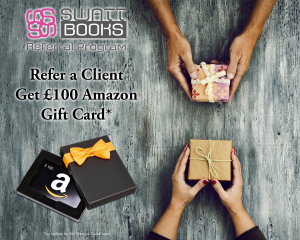 Its job is to make a reader want to pick your book up off the shelf! There are many people who would argue with that statement by saying that a covers’ job is to make a person want to buy your book, but I disagree. What your book is about is what will make a reader decide whether your book is right for them and ultimately whether they will buy it or not. The cover is what is going to draw that person to pick your book out of the dozens or hundreds of other books on the same subject to find out more about it. The cover is the honey, the lure, and the thing that catches the readers’ attention and interest and makes them want to pick it up. So now that you know what the purpose of your book cover is, lets explore how the 5 key ingredients work together to fulfil that purpose. Your books’ title is the cornerstone of your cover; it’s what sets the tone for everything to follow. Many great authors and book mentors will encourage you to come up with a title very early on in the writing process as it helps to give your writing direction. But remember that it isn’t set in stone until it ends up on your front cover, so don’t be afraid to let it evolve as your book does. Ideally, your title should be catchy, easy to remember, and rolls of the tongue. If it doesn’t, consider splitting it into a snappy title and explaining sub title. Relevance to what your book is about is sometimes not always important. Let me explain. There is an NLP book called “Don’t Think About Purple Spotted Oranges”, which has to be one of the most random books titles I have ever come across. The supporting sub title of “The manual you were meant to get with your brain” certainly steers you in the direction of what the book is about, but not quite a full reflection of a guide that helps you to improve your confidence and communication skills. However it’s randomness was enough to make me pick it up to see what it was all about. Because as a general rule a front cover doesn’t contain very much text, the text that is there must be exquisitely typeset. This is where a professional designer/typographer will be in their element! Lovingly kerning every letter of your title and making sure the tracking and kerning of every line is just so. Agonising over every little nuance of which font to choose and then perfecting the size and weight that font is set in… For those of you who are not typography weirdo’s like me, your probably thinking “OMG what a faff! What can possibly be the point of all of that?” The point is that the benefits of really good typography are subliminal; only those trained in the art of typography can see the difference that it makes, but everyone picks up on it anyway. They don’t necessarily know why some text is easier to read than others, or why a particular layout appeals to them more then another, but the typography plays a huge part in dictating that. So ignore it at your peril. The inclusion of imagery on a cover can be open to interpretation as to whether or not it is a necessary ingredient to a killer book cover. I did debate whether to include it in this list at all. But even though there are many great book covers out there that are text‐only, I cannot ignore the impact that adding even a small graphic can have on the success of your book cover. If you are going to include an image of some kind to your cover – whether it be a photograph, illustration, drawing, or just a simple icon or logo – it must be of the utmost quality. A photo that is blurry, poorly lit or too low a resolution, or an illustration that is badly drawn, bit‐mapped, or incorrectly scanned will do your cover more harm then good. 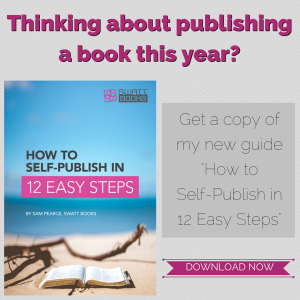 You also want to make sure that the image you choose matches the ‘tone’ of your book. The relevance of your image to your book is of a bit more importance then it was for your title. Don’t just add an image to your cover because you think you “should”; it needs to have a reason for being there. Does it set the tone for the story, does it clarify what your book is about, or does it elicit an emotional connection with the reader? Once you know what purpose your image is going to serve on your cover, then it will be easier to select one that works with your book and not against it. We’ve talked a bit already about how certain elements of your cover need to have some relevance to the book inside, but relevance in terms of a key ingredient to a killer book cover is more about how everything relates to each other. Relevancy is how all the various elements come together in harmony to form a single unified cover that makes someone want to learn more. It’s how your title relates to the story, how the fonts and typography relate to the title, how the style of imagery relates to the typography, and how your cover as a whole relates to the book and to the reader. There is no rulebook for this; there isn’t a definitive list of do’s and don’ts when it comes to how each element should relate to each other. But when it’s right, you’ll know it. Everything will just fit together perfectly, even if technically it shouldn’t. Your readers will pick up on it too. The book will just FEEL right; and that’s where the magic of a killer book cover really starts to kick in! The magic of a book cover that just feels right is amplified a million times when you add in the WOW! Just like with the term the ‘X factor’ in the entertainment industry; there isn’t a list of criteria or a tried and tested formula for adding the wow factor to your book cover. It is something that your cover either has or it hasn’t. Getting it takes a lot of experimentation, and pushing of boundaries to see what works and what doesn’t. The tiniest change could be all it takes to go from woeful to wow. If you haven’t found it yet, keep searching, because there are always second editions! So there you have it, my list of 5 keys that you need for a killer book cover. 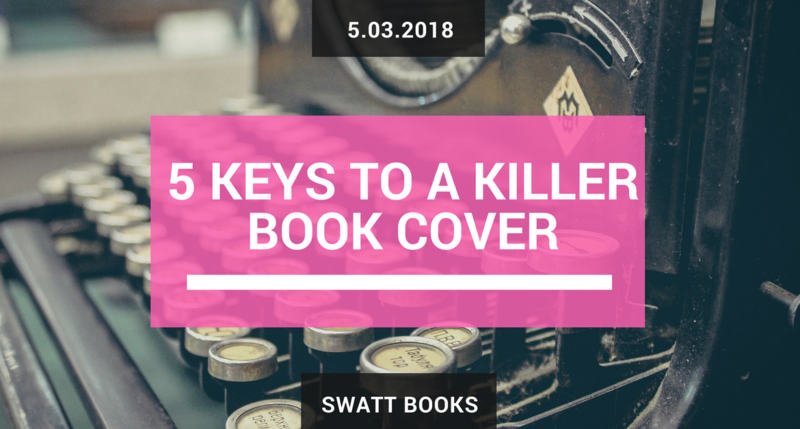 To reward you for reading to the end I’m going to give you a secret tip… To apply all of these keys to your book cover effectively, you need to know who your book is for. Knowing your target audience is the hidden 6th key to nailing your book cover. I don’t just mean narrowing down a demographic; I mean laser targeting who your one perfect reader is. Customer avatars that sales and marketing teams use are great tools to help you flesh out this ideal reader into a real person who you can not only design your book cover for, but to write for as well. Think you’ve got your killer book cover nailed? Share it in the comments below; I’d love to see it. Struggling to get a cover that works for you? Send me a message and lets talk about how I can help… advice is always free.